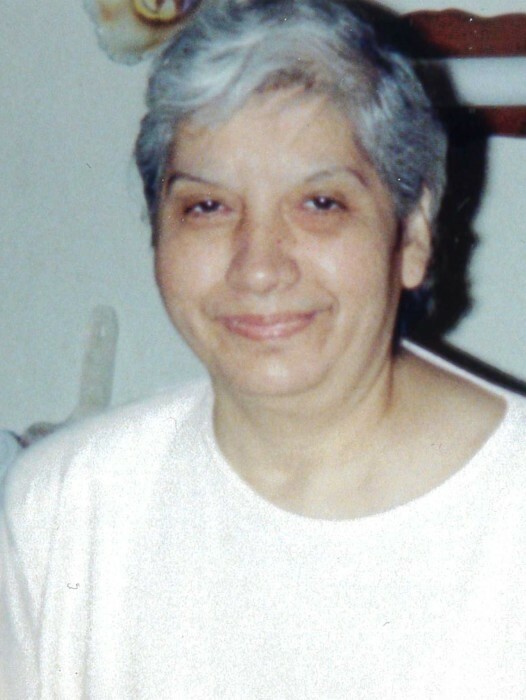 Fort Worth~ Edubelsa Garza, a loving and caring daughter, sister and friend, went to be with our Lord Saturday, March 16, 2019 in Fort Worth. Memorial Gathering 11:00 a.m. Thursday, March 21 , 2019 at the Hawkins Family Funeral Home Chapel. Edubelsa was born on May 5, 1950 to Jesus Garza and Elosia (Rodriguez) Garza in Robstown, Texas. Edubelsa was loved by all who knew her, she loved her family with sincere passion had a happy and warm spirit about her and always had a smile on her face. Those left to cherish her memory are her sisters Janie of Houston, Norma Trevino of San Antonio, Reba Nesmith and husband Adrian of Corpus Christi, Ninfa Garza of Corpus Christi, Miroslava Macias of Fort Worth; brothers Jose Garza and wife Rosario of San Diego, California, Michael Garza of Austin. Along with numerous family and friends.